Francis got his shoulder cleaned up…nothing major. Took him a while to figure things out but by the end of the year he knew what he was doing. Doesn’t need the Spring reps.
Not sure who Henninger and Thompson are speaking with…50/50 they return at this point but we’ll know shortly. I’d almost expect him to go the JC route vs. decommiting and only if he can’t get the classroom stuff squared away. Should get Pepa tomorrow (us or Wisc…mom wants him here) and Jones eventually…Add Rising and Bowen!!! Sheesh! 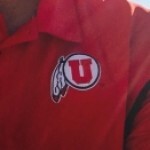 Go Utes!! Most of you complain about the OC turnover but then want a guy that will leave the first chance he gets…1-2 years max. Love Rex Jordan…has a chance to be really good but a lis franc can be tricky. If he gets back and stays healthy he’ll be in the mix for sure. You’re already 3 deep with big time experience there as it is though. Anae, Tupai, and Tufua so it will be interesting to see how and where he fits in. If it’s Harding you’ll also see a passing game coordinator hired. Harding is a proven O-Line coach, proven talent developer, proven run game coordinator and proven recruiter. Not a proven OC. That said, I’m not sure Harding is the right guy. You’re absolutely correct in the assumption that he might feel slighted and leave…we’ll see. Came down to Duke or Indiana…told his roommates he didn’t like his visit to Indiana so this is kind of interesting. Sounds like the best chance to play early. While I’m surprised based on the money you guys pointed out last week I’m not at all surprised he took a head job. He has a tough time being told what to do and if you ever had the chance to listen to him on the headset during a game it would be better than watching the game itself. Ewwww…they’d have to double that for it to make sense. Looks like I over estimated an FCS gig!! He’s from NoCal so is comfortable there over EW…not sure that the HC was an option for him at the time either. Still had to prove himself. But you’re right if they can’t pay him closer to upper 3’s or low 4’s it doesn’t make sense. Agreed…staff attrition is commonplace in college football. Top 20 programs have their coaches poached every year. Not a terrible thing…new blood and new vision often helps culture.